The Hexagon Brain Coral is similar to Favia Coral but is the sole representative of its Genus. It is distinguished by the hexagon shapes of its striated corallites. This beautiful encrusting coral is relatively easy to keep making it an excellent choice for all reef enthusiasts. 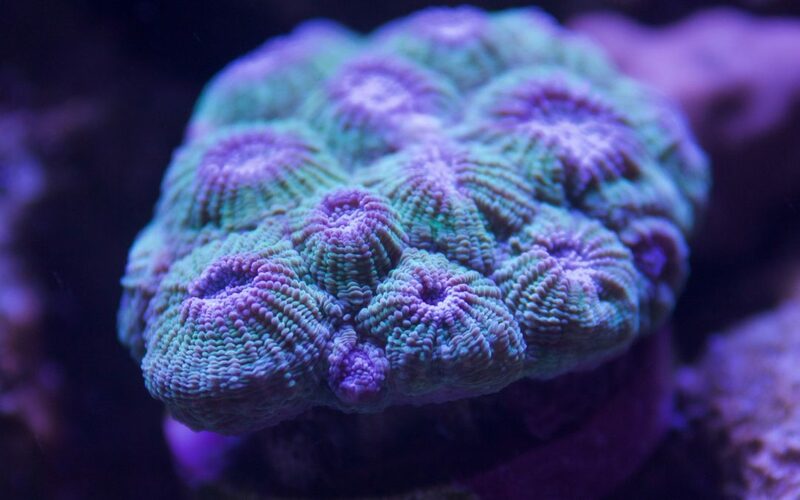 Provide the Hexagon Brain Coral with moderate lighting and water flow. Give the Hexagon Brain coral ample space so that its sweeper tentless do not sting neighboring coral. Feed each week with a variety of micro-plankton.